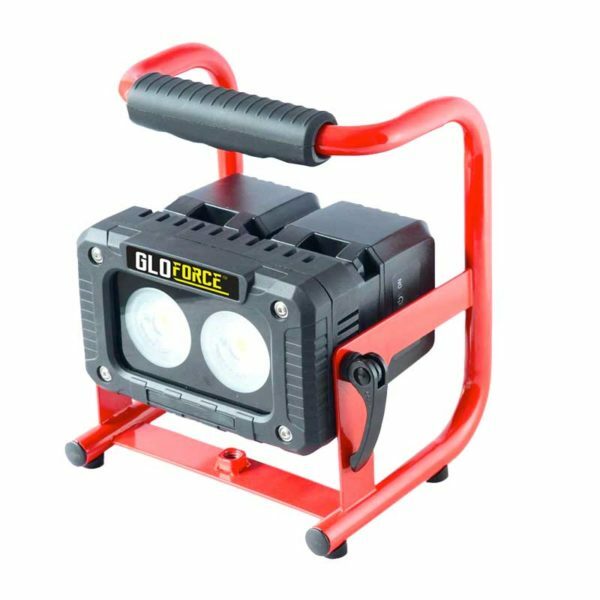 20w Dual detchable battery floodlight for mobile floodlighting High powered, long running, dual detachable battery floodlight. Run time of over 4 hours on full power, 6 hours on medium and 12 hours on low. Extra Batteries can be purchased for longer running hours. Robust and tripod mountable. Mains charger and car charger included.